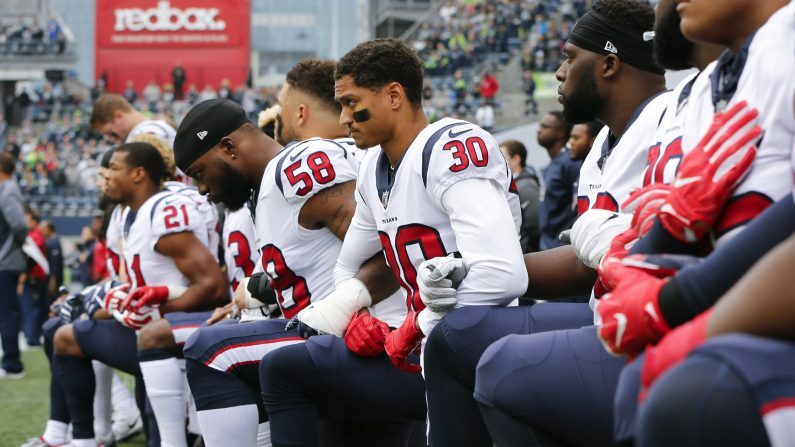 A bar boycotted showing NFL games over the Veterans Day weekend amid controversy around players protesting during the playing of the national anthem. The New Jersey bar, Woody’s Roadside Tavern, instead held a concert for charities to raise money for the Green Beret Foundation and the Special Forces Charitable Trust, Fox reported. Woody’s co-owners, Chris Maltese, Jennifer Knapp, and Rob Johnson said they came up with the idea after a regular customer—a veteran—asked them to turn off NFL games to honor veterans. “We thought about [it], and we thought it was a great idea,” Maltese told Fox. Johnson said that some veterans drove hours to their bar to attend Sunday’s event. “Yesterday was the pinnacle of my life, to do something for the veterans first-hand in a local community,” Johnson said. For Veterans Day, there were calls to boycott NFL games in response to the anthem protests. Host a fundraiser for Special Forces Association Chapter 19. 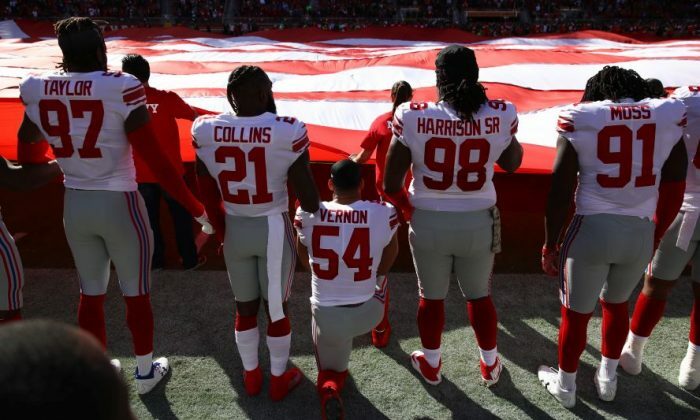 The NFL and NFLPA said on Saturday, “There has been no change in the current policy regarding the anthem,” saying NFL players “should” stand for “The Star-Spangled Banner.” However, it doesn’t make a requirement for them to stand, the Washington Times reported. Boycott the NFL, a Facebook page with more than 276,000 followers, called on fans to turn the games off on Sunday and Monday “in solidarity with veterans around the country,” and other conservative watchdog groups asked fans to do the same. Several players kneeled in the late games on Sunday, including 49ers safety Eric Reid and wide receiver Marquise Goodwin. Wide receiver Louis Murphy held up a fist during the anthem. New York Giants defensive end Olivier Vernon also took a knee and inactive Rams linebacker Robert Quinn put his right fist in the air. Punter Johnny Hekker put his arm on Quinn. But overall, relatively fewer players protested during the playing of “The Star-Spangled Banner” than usual. Roger Goodell and NFLPA Executive Director DeMaurice Smith said they’ll discuss social matters in a meeting next week.